Total Quality is our kind of philosophy: the experience of our partners and their accurate fields for production, our staff, and our facilities which enable us to handle and store 25.000.-tons of fruit a year. All of this, results in Top Quality Fruit which is continuously and steadily produced and distributed. Our more than 1.000.- hectares distributed around Valdejalon area, which are our best productive asset. All our production processes are submitted to the most rigorous phytosanitary controls: Traceability and Integrated Production (which includes also integrated plague control), and quality fruit auditory as Global Gap. 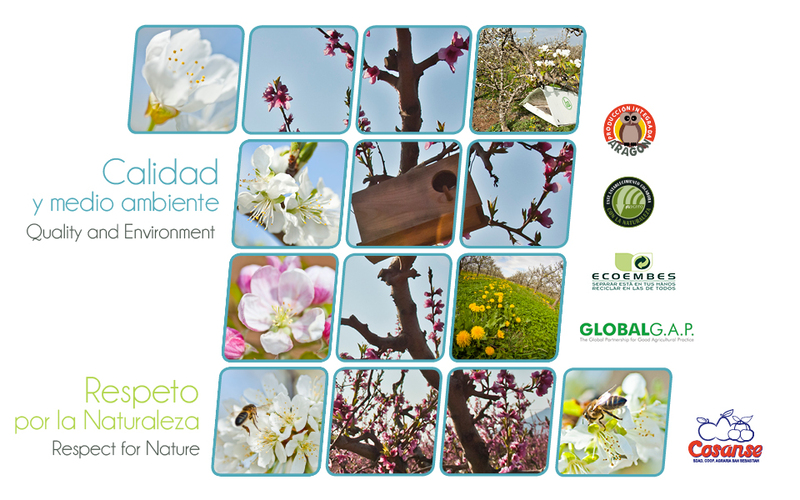 We are proud of guarantee the respect for Nature and our constant commitment with the Environment.